Harrisburg, PA – Today, Governor Tom Wolf announced the approval of new funding to support the development of a mobile game that will help individuals land jobs in the manufacturing sector. The grant will be provided to Catalyst Connection, an industrial resource center that supports the growth of small manufacturers in western Pennsylvania. Catalyst Connection has partnered with Pittsburgh-based game developer Simcoach Games to create the new game. The grant will come from Governor Wolf’s Manufacturing PA initiative. The grant will provide $158,735 to Catalyst Connection to support the development and marketing costs of the game. The game will enable users to practice skill concepts that are found in the National Tooling and Machining Association’s mechanical aptitude test. This test is used as the standard employment exam for a large number of manufacturers. The gaming format allows users to learn fundamentals in small amounts through game levels. Catalyst Connection and Simcoach Games will determine which areas of the exam provide the greatest challenge for applicants and determine which of these areas are best addressed in a gaming environment. Catalyst Connection will coordinate with manufacturers like Oberg Industries and All-Clad Metalcrafters, as well as hiring organizations, to promote the game. The Pennsylvania Manufacturing Training-to-Career grant is designed to provide funding for training programs to help unemployed and underemployed individuals, as well as those with barriers, to gain the skills they need to gain employment in the manufacturing sector. Eligible applicants include technical and trade schools, universities, and nonprofit organizations that develop new and innovative training programs and partner with two or more manufacturers. The Training-to-Career grant is part of Governor Wolf’s Manufacturing PA initiative that was launched in October 2017. This initiative ensures that training leads not simply to any job, but to careers that provide higher pay and opportunities for advancement. Working with DCED’s strategic partners, including Industrial Resource Centers (IRCs), Pennsylvania’s colleges, universities, technical schools, and non-profit organizations, this initiative fosters collaboration and partnerships to accelerate technology advancement, encourage innovation and commercialization, and build a 21st century workforce. 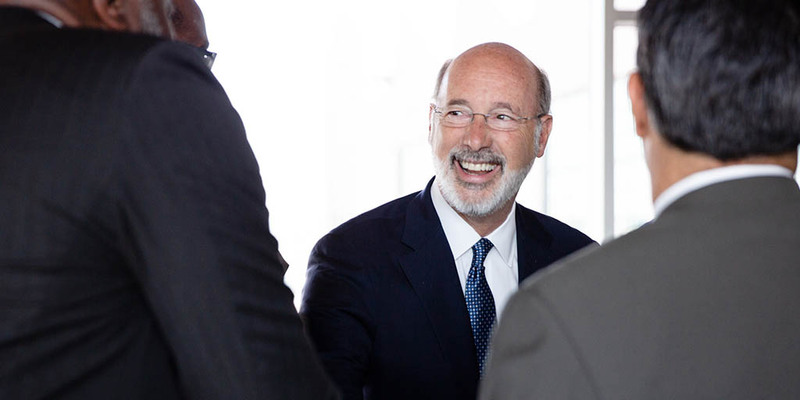 In the 2019-2020 Executive Budget proposal, Governor Wolf is calling for an additional $4 million to help Pennsylvania manufacturers train workers and $6 million to expand career and technical education for adults.